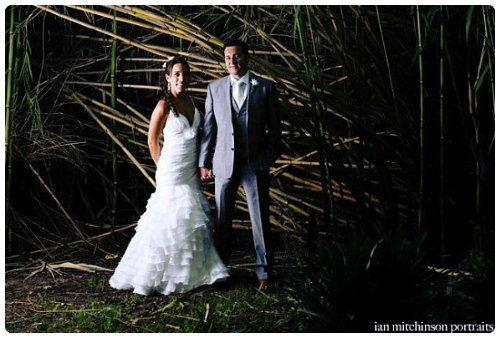 Roniet was another bride that had the difficult task of planning her wedding from a distance (the UK). Thank goodness for willing family members to make the process a bit easier! Roniet had tried on some wedding dresses in London so she had a pretty clear idea of what she wanted. A very relaxed bride that was fun to work with. Roniet's dress had a small train and she opted for a cathedral length veil. I love a dress that has detail at the back and the additional length created that extra 'Wow' for the ceremony. Lots of happiness! And, don't you think that there's a distinctly Mediterranean feel, despite the celebrations being held in sunny South Africa?